One couple is truly seeing the bright side in an otherwise extremely unfortunate circumstance. 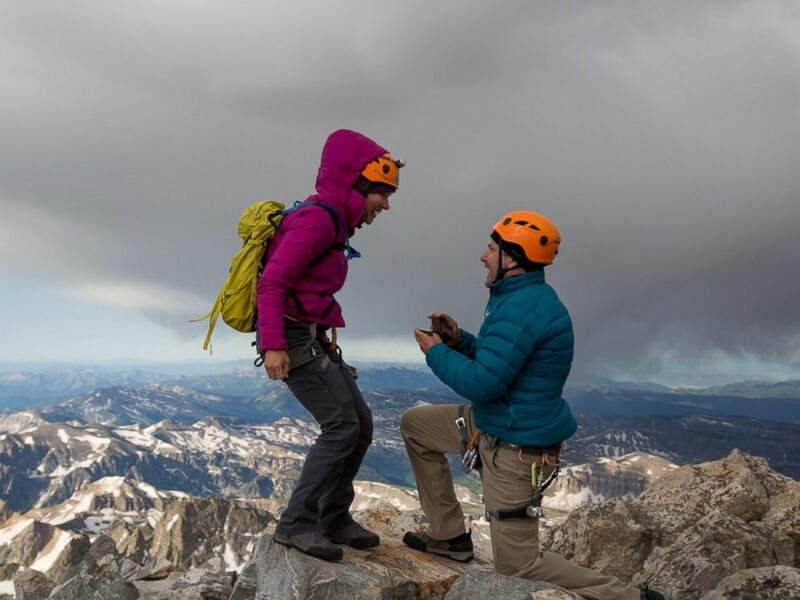 Atop an incredible 14,000-foot peak, the perfect setting for dramatic engagement photos, Richie Jones pulled out the beautiful purple sapphire ring he had hand-selected to ask for his longtime love’s hand in marriage. There was just one problem: the ring had fallen out of the box. The ring had come loose and bounced out of the box as soon he opened it on bended knee. The entire group began laughing as his now fiancé, Ashley Allen, said yes, despite the shock of the missing sparkler. 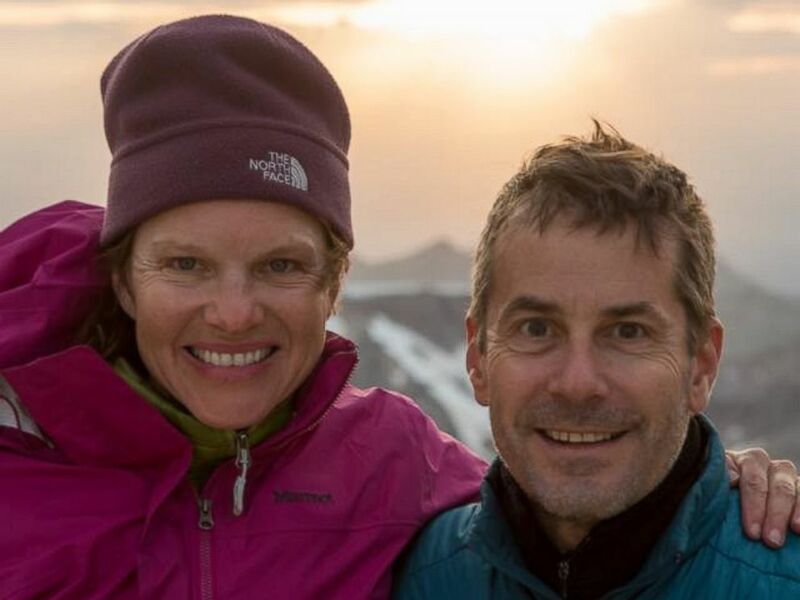 They had hiked for two whole days alongside their friend, Ben Masters, who originally recounted this story for National Geographic, before reaching the top of Grand Teton, the highest mountain in Wyoming’s Grand Teton National Park. Although Allen never even got to see the ring, the happy couple couldn’t be more thrilled that a piece of their love and relationship is now resting peacefully in this special, majestic landscape. Allen, 47, said that more than anything, she “felt badly for Richie” about the entire situation. “I think it was more shocking for him,” she said. “He carried this ring all over Wyoming and on these hikes and I had asked him to climb this mountain. It’s something I’ve wanted to do since I was 17 and he went to all this trouble and that was the shock more than anything." They have not yet chosen a wedding date as they’re waiting on both sets of their children from previous marriages to be done with school so they’re all able to be there together. Jones and Allen are planning to create a replica of the lost ring.